The Sherry segment in the Resident Evil 2 remake begins with you solving a puzzle to escape the bedroom. The puzzle isn’t too difficult, but the catch is that the layout is random, even if the solution is always the same. Also, solving the puzzle and exiting the bedroom under 60 seconds awards you the Young Escapee achievement. With that in mind, here’s our Resident Evil 2 Remake Sherry Segment – How to Escape Bedroom Fast guide to hopefully help you exit the bedroom under 60 seconds and earn the Young Escapee trophy. 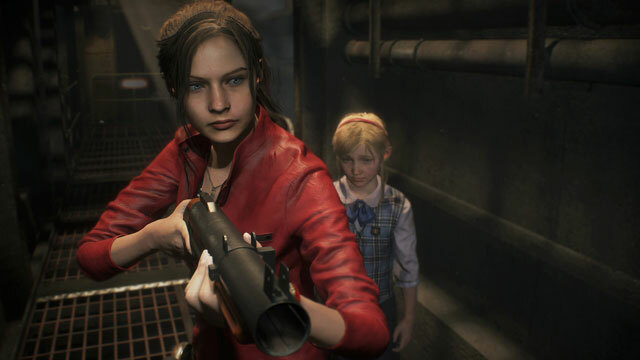 How to Escape Bedroom under 60 Seconds as Sherry in RE2 Remake? To escape the bedroom as Sherry in under 60 seconds (and thereby earning the Young Escapee trophy), the first thing you have to do is save the game before going in. When the Sherry segment begins, note your surroundings. There are three important points: the weird stuffed toy on the chair, the block puzzle in the corner, and the hole in the wall covered with cardboard and duct tape. Pick up the toy and examine it from the inventory. Turn it around, and open the zipper on the back to reveal the missing puzzle block. Then, approach the puzzle in the corner and use the block on it. Now, the tricky part of this is that the layout of the puzzle is always random. Luckily, the solution appears to always be the same: Square, Triangle, Circle, Star, Triangle. So, here’s the strategy. Solve the puzzle on your own time; don’t rush it. Write down or otherwise memorize how you solved it. Once you have that locked down, exit the game into the main menu. Then, go back in by selecting Continue, or reload the last save. Everything will be reset in Sherry’s segment, but the puzzle solution should remain the same. So, get the puzzle block, solve the puzzle as fast as possible, and take the scissors. Run over to the cardboard on the wall and use the scissors to remove it. Crouch and exit the bedroom. If you don’t manage to get the trophy, reload and try again. You’ll get it sooner or later. And that about does it for this guide on how to quickly escape the bedroom during the Sherry segment in the Resident Evil 2 remake. If you need further help, you might want to check out some of our other RE2 remake guides, including Lion, Unicorn, Maiden, Goddess Puzzle Solutions and Lab Codes & Drug Testing Cartridge Puzzle.